Make an impression with our signature Two Dozen Valentine Famoso exclusively available at Rossi & Rovetti. This stunning arrangement stands approximately 18 inches tall and a 12 inches wide and comes with an elegant, quality vase. 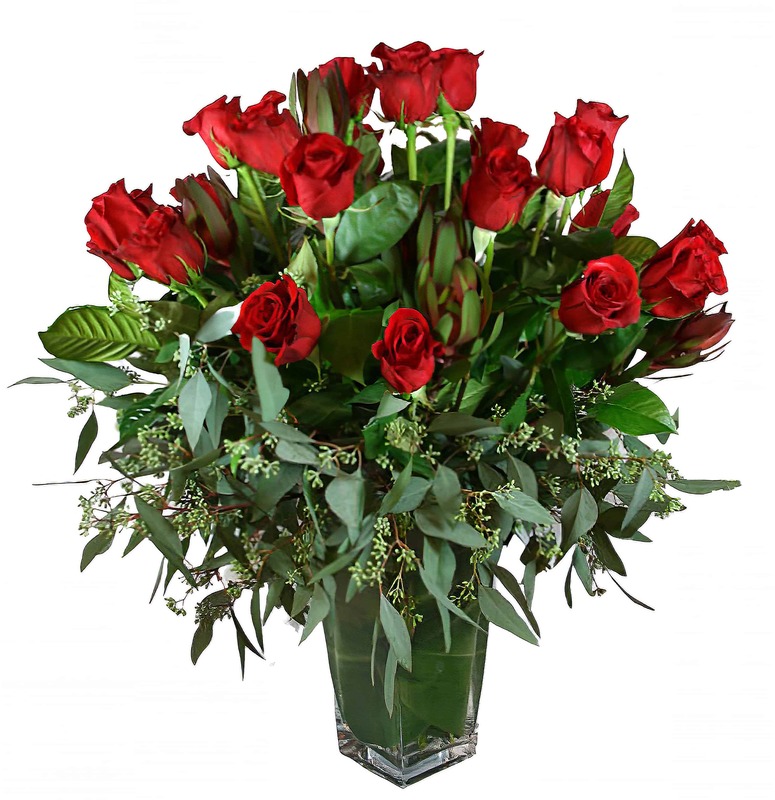 Our signature blend of 24 premium Imported Long-Stemmed Roses and European design create this gorgeous flower arrangement which also includes Protea, Curly Willow, Exotic Ti Leaves and more to make it unforgettable! Fresh from our growers, these distinctive imported beauties have large blooms unlike other standard roses. The one you love will know receiving our roses is the ultimate expression of extraordinary love! You'll know it's the ultimate aphrodisiac!